With a prime and clear vision of ‘One Nation – One Tax – One Market’, Goods and Services Tax was introduced by the Government. Apart from its various benefits, it has been playing a major role too in removing cases of tax evasion, bribery and other forms of corruption from the country. Keeping in view the ease of different types of tax-payers, different kinds of GST Return Forms have been introduced as well. And presently, everything pertaining to Tax has become online, i.e. easier and transparent in comparison to the previous tax system. 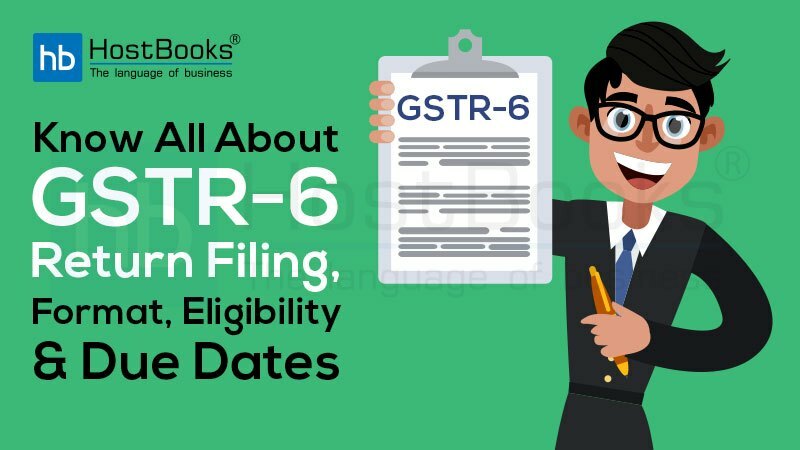 Due dates for filing GSTR-6. 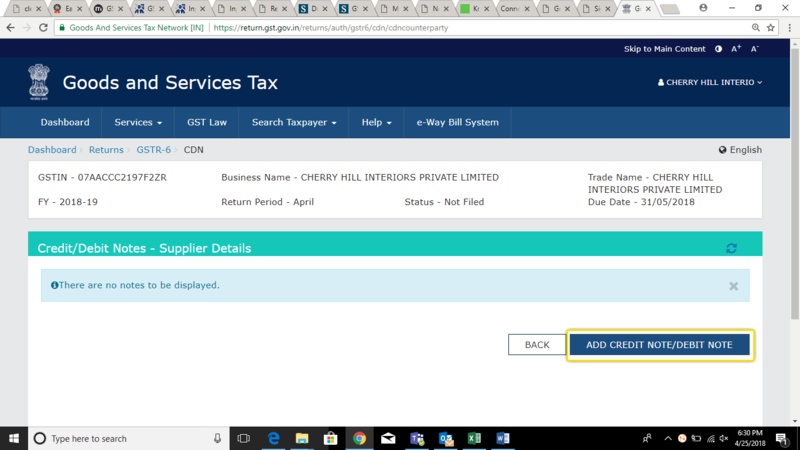 How to file GSTR-6 online on the GST Portal? GSTR-6 is one of various kinds of GSTR Forms introduced by the Govt. Like some other GST Return Forms – GSTR-6 is document/statement and is filed every month by Input Service Distributors. It contains complete details of received ITC (Input Tax Credit) and distributed ITC by an Input Service Distributor. GSTR-6 has total 11 sections. Every taxable person registered as an Input Service Distributor (ISD) is required to furnish monthly details of input credit distributed mandatorily in Form GSTR-6. ISD stands for ‘Input Service Distributor’. In GST regime, ISD speaks of an office of the supplier of goods / services or both which receives tax invoices towards receipt of input services and on the other hand, issues a prescribed document for the purposes of distributing the credit of CGST / SGST / UTGST / IGST paid on the said services to the supplier of taxable goods / services or both possessing the same PAN (as that of the ISD). The whole concept of ISD is a facility provided to business having a large share of common expenditure and billing or payment is done from a centralized location. This procedure is meant to cut down the previous complex process of receiving credit, and the facility is especially meant to strengthen the smooth flow of credit under GST. In simple language, it can be explained as a business which receives invoices for services used by its branches. It distributes the tax paid, to such branches on a proportional basis by issuing an ISD invoice. The branches may have different GSTINs but should have the same PAN (Permanent Account Number) as that of ISD. GSTR-6A is an automatically generated Form on the basis of information provided in GSTR-1 by the suppliers of Input Service Distributor. No changing can be done in it, but if required necessarily, it can be made only while filing GSTR-6. However, one can view GSTR-6A easily by visiting the Return Dashboard on the GST Portal and clicking on ‘PREPARE ONLINE’ on GSTR-6A tile. 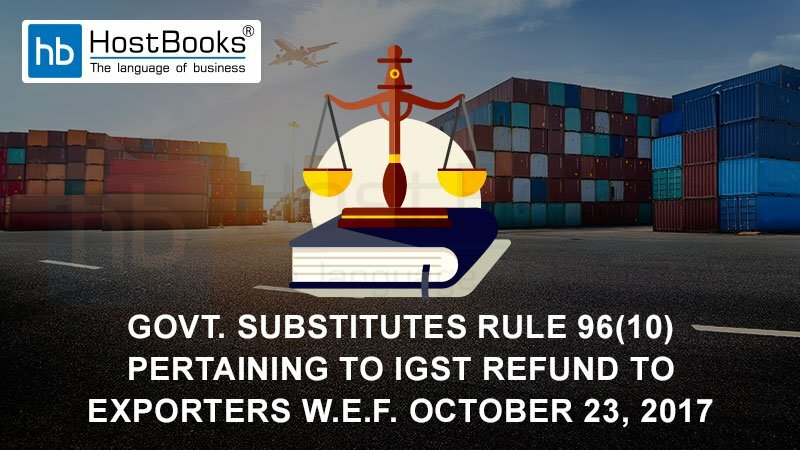 GSTR-6 contains the complete details of all documents issued in favor of distribution of Input Tax Credit among the branches of the organization and the nature of distribution of credit and tax invoice on which credit is received. This must be filed by every ISD even if it is a NIL return. GSTIN (Goods and Services Taxpayer Identification Number ) 15 digit GSTIN (state-wise PAN based alpha-numeric number) should be entered. Name of the Registered Taxpayer This gets generated automatically when the tax payer login to Govt.’s GST Portal and enters the unique GSTIN. Tax Period Exact Tax Period for which GSTR-6 is being filed; to be selected from drop-down option. Received ITC for Distribution ISD need to furnish details of supplies received from a registered person and the amount of input credit available for the current tax period. The entire details of inward supply will be auto-populated from counter-party GSTR-1 and GSTR-5. Under this heading, the taxpayer needs to enter the amount of credit available for CGST/SGST/IGST (as the case may be). In case, purchases have been made in more than one lot, the details of all the invoices should be reported in the return period (in which the last lot has been received and recorded in books of accounts). Total ITC/ Eligible ITC/ Ineligible ITC to be distributed for the tax period In this table, all the eligible and ineligible credit separation from the total ITC which is available is required to be furnished CGST/SGST/IGST wise. Details of Distribution of the ITC The ITC (either eligible or ineligible) allocable to the respective recipient shall be shown here, tax-wise separately. 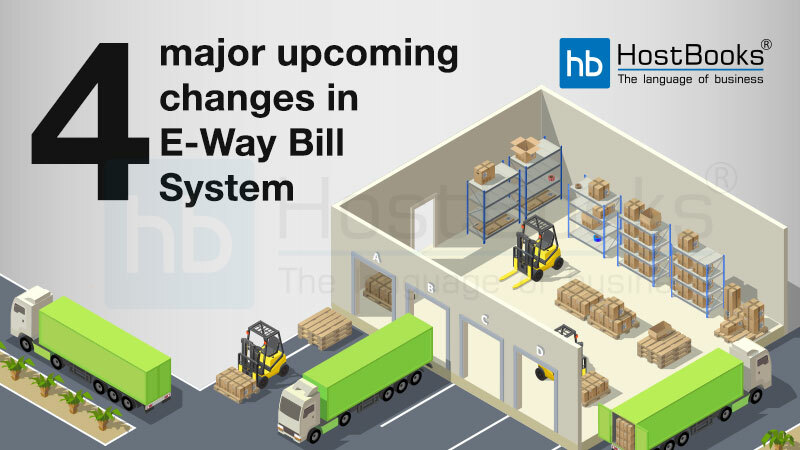 Any changing in Distribution documents and debit / credit notes of previous tax periods Any amendment (correction) or changing in any distribution document and debit or credit note of previous months shall be reported under this heading. Here under this heading, Reversal and Reclaim of ITC shall be reported and such reversal or reclaim (as the case may be) shall be allocated amongst the recipients tax wise. Redistribution of ITC as it was distributed to a wrong recipient last time All the details of original distribution document and the details of redistribution documents are required to be specified recipient wise as well as invoice wise. Late Fee Details (if any) Here, complete information against the late fee on account of CGST/SGST/IGST is required to be furnished mandatorily. Refund claimed from Electronic Cash Ledger If any refund has been/is to be claimed from electronic cash ledger, the details of the same are required to be mentioned here containing the bank details specified. Following the below steps GSTR-6 can be filed online on the GST Portal easily and quickly. Step 1: Firstly visit the GST common Portal and then enter ‘User name’ and ‘password’ and now click on the ‘LOGIN’ button to proceed to your account. Step 2: A welcome message will be shown and now click on the ‘RETURN DASHBOARD’. Step 3: From the dropdown option, choose the appropriate ‘Financial Year’ and then the ‘Return Filing Period’ (i.e. month) for which GSTR-6 has to be filed, and now click on the ‘SEARCH’ button. Step 4. By clicking on the ‘PREPARE ONLINE’ button select ‘Return for input service distributor GSTR6’. On the right, there is one more option ‘Details of auto drafted supplies GSTR6A’. It is auto-generated GSTR-6A (only to be viewed by the user). Step 5: One can see the invoice details and distribution of input tax credit after clicking GSTR- 6. Step 6: Now click on ‘3 – Input Tax Credit received for distribution’ under the head ‘Invoice Details’. A new page will be displayed. And, click on the ‘ADD MISSING INVOICE DETAILS BUTTON’. Step 7: All the details like ‘Supplier’s GSTIN’, ‘Supplier Name’ will be appeared automatically while ‘Invoice no.’, ‘Invoice Date’, ‘POS’, ‘Total Invoice Value’ and ‘Supply Type’ needs to be provided by the user. Step 8: Now click on the ‘BACK’ for viewing the page displayed during ‘Step 5’. Here choose the box titled ‘6B – Debit Notes/Credit Notes received’. And, now click on ‘ADD CREDIT NOTE/DEBIT NOTE’ button. Step 9: Details of credit note with ‘Supplier GSTIN’, ‘Supplier Name’, ‘Note Type’ (debit/credit note) ‘Note Value’, ‘Debit/Credit Note No.’, ‘Debit/Credit Note Date’, ‘Original Invoice No.’, ‘Original Invoice Date’, ‘Supply Type’, ‘Reason For Issuing Note’ needs to be filled by the user himself / herself. And then, click on ‘SAVE’. Now the user will again land to the menu displayed in ‘Step 5’. Step 10: Select the box ‘4 – Total ITC available and Eligible ITC/Ineligible ITC distributed’. Fill up all the details asked in the boxes and then click on ‘CALCULATE ITC’. ‘Processed invoice’ – where all the details are accepted. 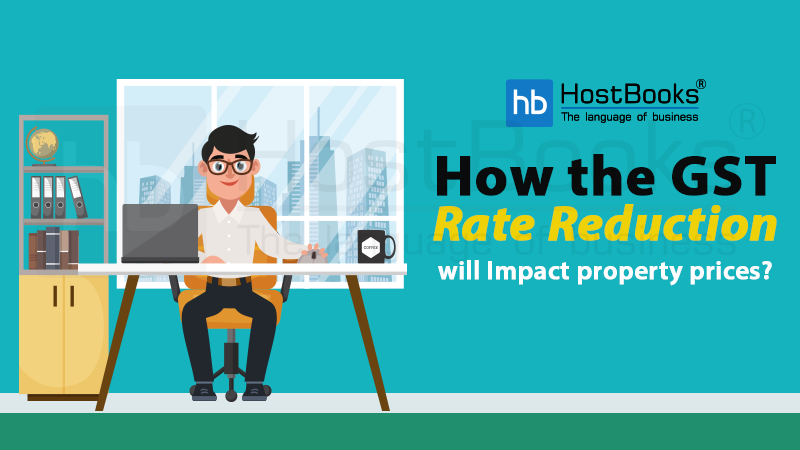 ‘Pending invoice’ – details which are still in process and getting validated. Step 13: Details like ‘Eligibility of ITC’, ‘Unit type’, ‘Document type’, ‘ISD invoice number’ and ‘ISD invoice date’ needs to be filled up appropriately. And now, proceed by clicking on ‘SAVE’. Step 14: Form GSTR-6 gets auto-populated. And details of Input credit received for distribution and debit/credit notes received during current period is reflected of its own in the form. Step 15: Now click on the last option ‘10 – Late Fee’ under heading ‘GSTR-6 – Other Details’. 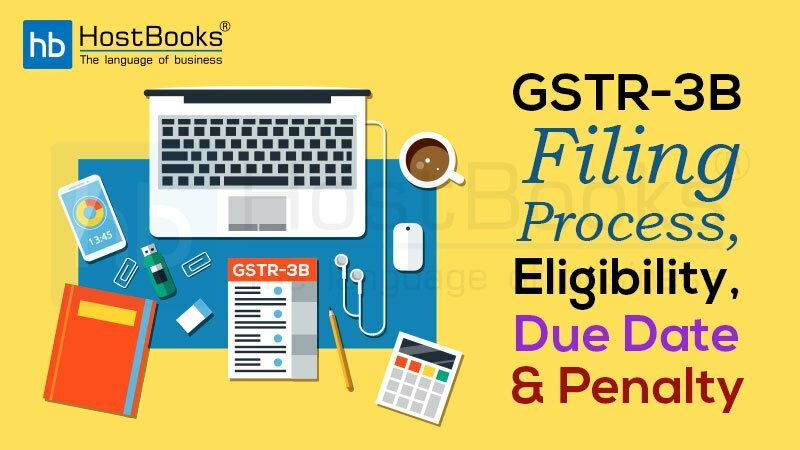 After filling up all the details appropriately, click on the checkbox under heading ‘GENERATE GSTR-6 SUMMARY’ and finally click on ‘SUBMIT’ and then on ‘FILE RETURN’ to complete the filing process of GSTR-6. (ii) ₹ 20/day (CGST ₹ 10/day and SGST ₹ 10/day) (in case of any tax liability). (iii) In case of NIL tax liability, late fees would be charged from the due date to the date when the returns are filed, subject to a maximum of ₹ 5,000. Abide by the prescribed rules is the best idea to abstain from hefty penalties and further complications in GST regime. But, for a common individual filing GSTR-6 online would cause a little difficulty. 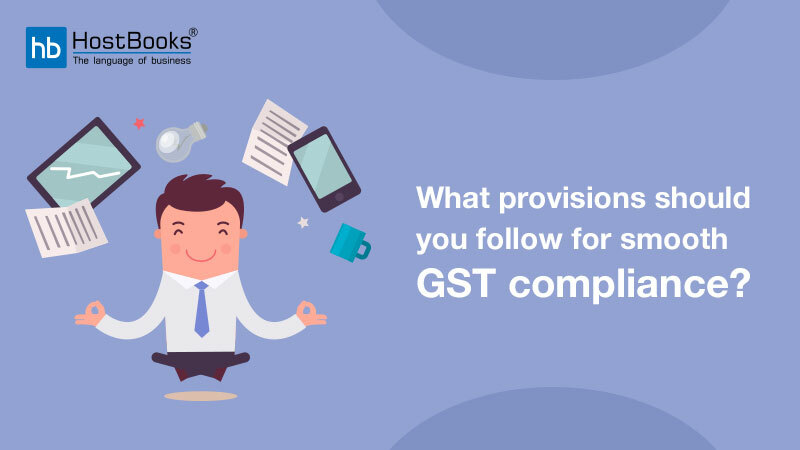 So, contacting the certified and credible service provider is highly recommended because in the GST Regime it is quite essential for every Input Service Distributors to know all about GSTR-6.